> News Case Studies Abbey-solutely Fabulous! C-TEC’s revolutionary ZFP is safeguarding Norfolk’s historic Wymondham Abbey. 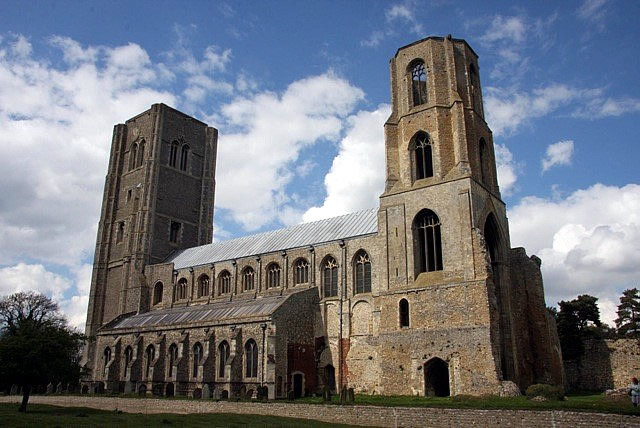 Renowned for its stunning angel roof, twin towers and gilded altar screen, the Norman church is not only a place of worship but also one of East Anglia’s most popular tourist attractions and a unique venue for concerts, educational excursions and exhibitions. The Abbey is protected by a ZFP 2-loop touch-screen controlled addressable fire panel, linked to a host of fire alarm devices including detectors, call points and C-TEC’s EN54-certified VADs. Flame, intrusion and smoke video detection is provided by a Signifire IP system interfaced to the panel’s loop. C-TEC scores for the Stags! Supplied as standard in all pre-built ZFP panels and all core ZFP panels. Includes a user-friendly full-colour 4.3 inch 480 x 272 pixel LCD touchscreen. Separate distinct LEDs for mandatory EN54 indications plus five spare engineer programmable LEDs. Keyswitch or dynamic touchscreen button access to AL2 (Authorised User Level). Galvanically isolated USB port (for system programming). Indicator naming template (Microsoft Word format) downloadable from the Documentation tab below. A feature-rich touchscreen-controlled addressable fire panel available with 1, 2 or 4 Apollo XP95/Discovery compatible loop drivers (see Key Features section for a full list of ZFP features). Third-party certified to EN54 parts 2 & 4. Medium and large sized ZFPs also available with 2, 4, 6 or 8 loops.